BASICS: Emphasis is placed on the fundamentals- accuracy of alignment in the postures, building core strength, flexibility, balance, concentration and breath. Based on physical postures, deep breathing, mindfulness and listening to the body. The classes to take after completing the intro series or if you are nursing an injury. FLOW: A more meditative practice where students will build their basic skills into flowing sequences, with a focus on combining breath with movement. Students will learn to refine postures and move beyond the limitations of the mind. SLOW FLOW: The same as the flow classes but more gentle. Students are expected to be familiar with sun salutations. REST & RENEW: Use of restoratives, pranayama (breathing techniques) and gentle flow to quiet the body and mind. Restoratives are meditative poses in which the body is supported with props and held for extended periods of time. Both soothing and regenerating, these classes help bring balance to the demands of our daily lives. Perfect for beginners, people working with injuries, and advanced students to welcome relaxation, soft openings and mind body awareness. All Levels. RENEW & REBUILD: Same as Rest and Renew with additional focus on gentle strengthening postures to maintain and build stability. Level l: Suitable for beginning students, students healing from injuries, and experienced students who enjoy a gentler class. Learn body awareness, the basic postures with proper alignment, yogic breathing techniques, and how to blend breath with movement. Level l/ll: The teacher offers many alternatives/adaptations/variations making this class suitable for students who have completed the Intro and for more advanced students. Level l.5: Suitable for everyone who is comfortable with sun salutations. Wonderful for those who have completed the Intro Series, as well as more advanced students who like a slower flow. 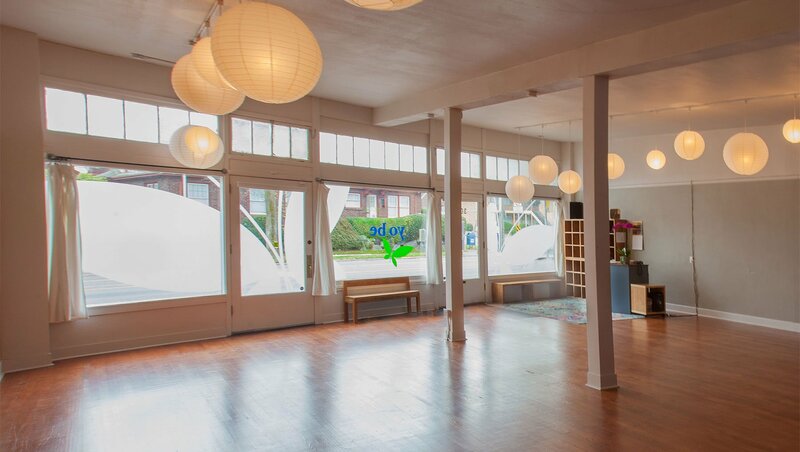 “I love this yoga studio! Dee is truly a superb instructor, she helps with positioning, breathing, focus, etc. She has really helped me find what works for my body – and others’. Also, she has a sense of humor and a tendency to create a community-like class, where people want to chat and hardly ever feel awkward, while, of course, maintaining the inherent calm and soothing feelings needed for yoga. The only complaint I have is the small size of the studio. I’ve been to a few studios, and YoBe is definitely a fave.” Mary S.
“I’ve been a yoga studio drifter for years… until I found YoBe. I’ve been to many studios where they’ve either lacked in one department or another.. either class sizes are too large/crowded or a little ~too~ intimate, or were too focused on the physical aspect of yoga that the spiritual components were neglected etc. But YoBe is awesome because not only are their class sizes just right — with usually about 10 or less students in a class. Their instructors are awesome because the teaching style is more of a holistic focus that touches on the mind+body+breath connection, which I think is missing from the more popular studios.” Jen Y. “I started yoga here, I was horribly out of shape and overweight. Dee made me always feel welcome and safe as I gradually reintegrated body, mind and spirit. There is no pretentious “scene” there, just wonderful, welcoming instructors and fellow students. I couldn’t recommend it more highly, although… don’t even think about taking my place! ;-)” Melinda W.